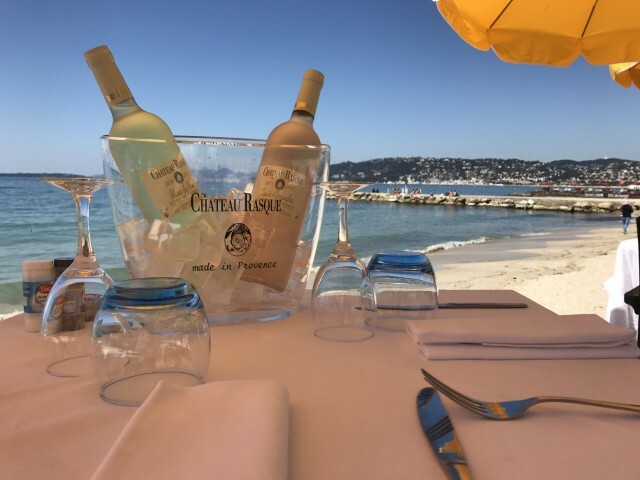 The restaurant « Chez Vincent » welcomes you either feet in the water, in the sand or at the patio. Enjoy a 180° fantastic view of the Lérins Islands, which is located in the bay of Juan Les Pins. You will be able to discover this private little heaven while walking by Eden Gallery beach. Vincent comes from Italy and has been sharing his cooking, his love of furnaces and all his cheerfulness for more than 27 years. You will be welcomed just like friends around a table. The restaurant Vincent is renowned for its Mediterranean cuisine staring grilled fish but also a cuisine that is creative, greedy and rich in flavours which also offers different kinds of meet, pizzas and salads to fulfil everyone’s needs. Come and try these delicious, greedy and original dishes.